Buying a car is a big step for any driver to take. Whether it’s your first vehicle or one to replace your current motor, the sense of excitement is unrivaled. However, the process also comes with great responsibility. After all, this is probably the biggest financial purchase you’ll make all year. Therefore, it’s imperative that you make the right decision. That pressure can make the procedure feel daunting. But the growth of the used car market means you’ve got a better chance than ever of finding the perfect match. Nevertheless, buying previously owned cars comes with its own set of issues. Here is how you can ensure that you don’t get taken for a ride. Find The Right Motor – The first step to ensuring that you find the right car is to find the perfect model. Shopping on the used market will open up your options greatly, which should give you a far better chance of finding the one for you. There’s a world of information at your fingertips. Researching the possibilities is a must if you want to make the right choice. If you’ve settled for a manufacturer but haven’t pinpointed an exact model, it could be worth speaking to an expert. A Mercedes dealership, for example, can give you far better insight into their different options. This is not a decision that can be rushed. Patience is vital. 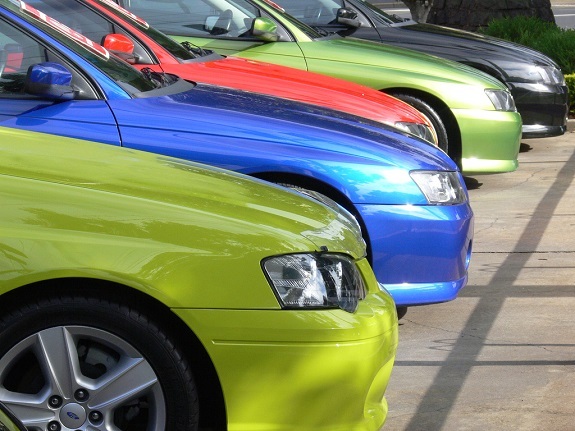 Don’t Buy Private – It can be tempting to buy a car from Gumtree to get a slightly cheaper price. But for peace of mind alone, it’s always worth choosing a trusted dealership. Buying privately could leave you vulnerable to being left with an inadequate vehicle. Using a dealer will give you a far greater sense of security. Besides, you’ll also be able to take other models for a test drive to see if any of them are more suited to your needs. Many dealers offer greater financial options too. Choosing the most suitable package can make the whole process far less stressful. Check Paperwork – Buying a used car brings many benefits over the brand new market. However, the one major downside is that you can never be sure how it has been treated by previous owners. Therefore, a full service history is extremely advantageous. Not having it shouldn’t necessarily prevent a purchase, but major gaps are a cause for concern. Again, buying from a dealer can take away some of the associated fears. If you are still having serious doubts, don’t be afraid to look around for another car. The last thing you want is to make a decision that you’ll later regret. Look After It – Even if the car is in great condition, it will require love and affection if you are to keep it in great health. In truth, you should want to take care of it anyway. As well as encouraging better performance, you want to consider depreciation. Knowing how to help the car retain its value could make a huge impact later down the line. If nothing else, it should encourage you to keep the car in good general health too. There’s not much point in buying the car if you aren’t going to look after it. Employ good habits from the start and it will soon become second nature.